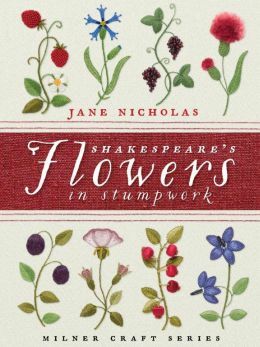 The following kits are designed to be worked with the instructions, diagrams and photographs contained in Shakespeare's Flowers in Stumpwork [Book 9]. For the first time, we have included Jane's favourite pure silk duchess satin as the background fabric for these kits. These kits contain all materials required to work the projects, and a list of required equipment is provided with each kit.